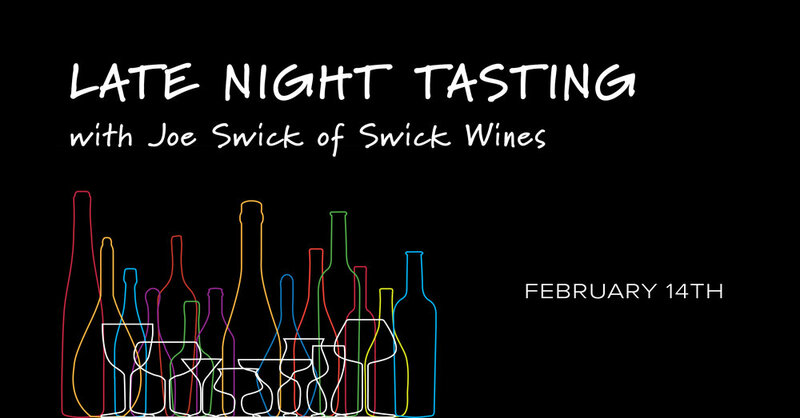 Late Night Tasting with Joe Swick of Swick Wines! It will be FREE to TASTE, cheap to drink! Stop by between 10pm & midnight.